Sun., 28 Apr. - Sun., 28 Apr. 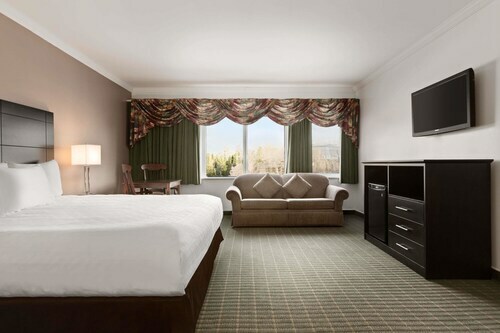 Situated near the airport, this eco-friendly hotel is within a 15-minute walk of Centre des Arts de Baie-Comeau and Club de Golf de Baie-Comeau. Maison de la faune is 2.5 mi (4.1 km) away. 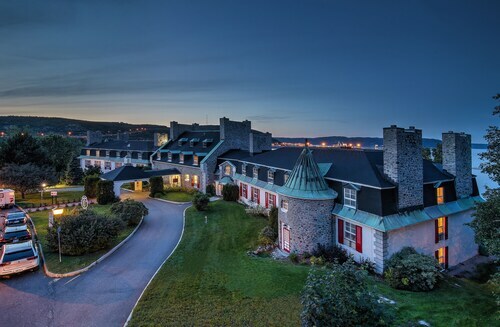 Situated in Baie Comeau, this hotel is within 1 mi (2 km) of Club de Golf de Baie-Comeau and Centre des Arts de Baie-Comeau. Maison de la faune is 2.3 mi (3.7 km) away. 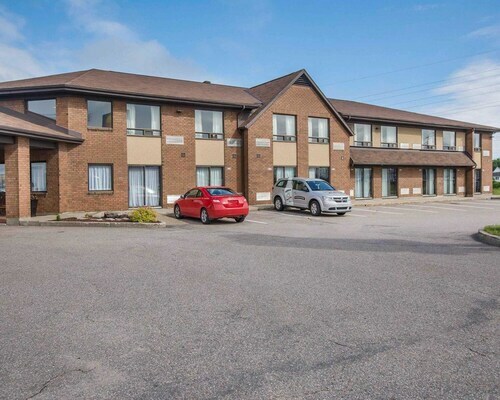 Situated in Baie Comeau, this motel is within a 15-minute walk of Club de Golf de Baie-Comeau and Centre des Arts de Baie-Comeau. Maison de la faune is 2.2 mi (3.6 km) away. Situated in a shopping district, this hotel is 1.7 mi (2.8 km) from Boise de la Pointe St-Gilles and 2.2 mi (3.5 km) from Parc des Pionniers. Jardin des Glaciers and Centre des Arts de Baie-Comeau are also within 6 mi (10 km). 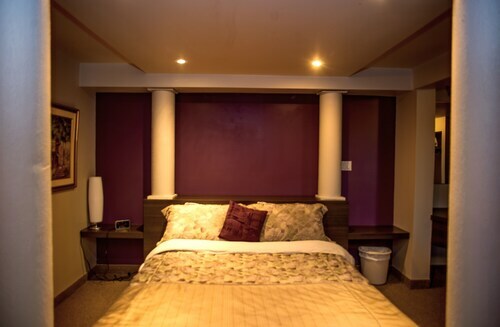 Situated in Baie Comeau, this vacation home is within a 15-minute walk of Club de Golf de Baie-Comeau and Centre des Arts de Baie-Comeau. Maison de la faune is 2.5 mi (4 km) away. 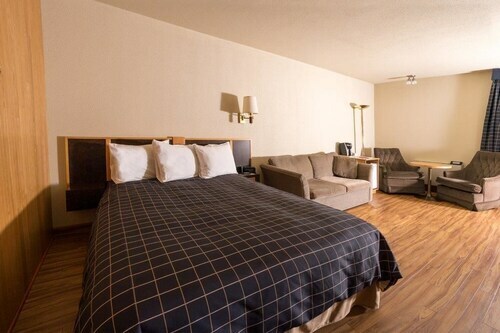 Situated in Baie Comeau, this motel is 1 mi (1.7 km) from Boise de la Pointe St-Gilles and within 3 mi (5 km) of Parc des Pionniers and Jardin des Glaciers. Centre des Arts de Baie-Comeau and Club de Golf de Baie-Comeau are also within 6 mi (10 km). 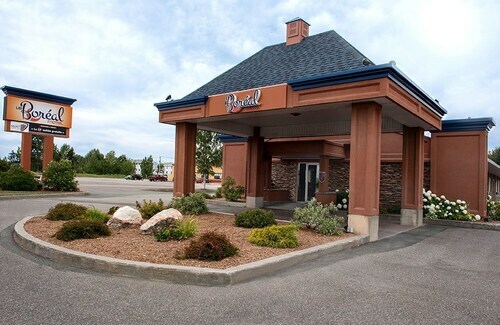 Situated in Baie Comeau, this hotel is 0.9 mi (1.5 km) from Boise de la Pointe St-Gilles and within 3 mi (5 km) of Parc des Pionniers and Jardin des Glaciers. Centre des Arts de Baie-Comeau and Club de Golf de Baie-Comeau are also within 6 mi (10 km). 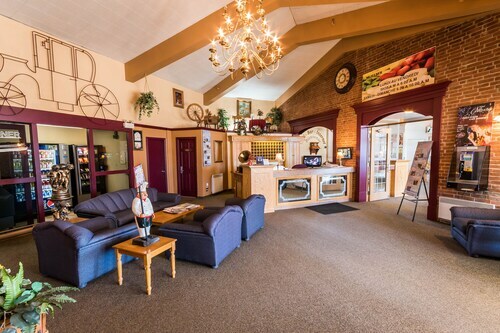 Located in the heart of Baie Comeau, this eco-friendly hotel is within 1 mi (2 km) of Parc des Pionniers and Boise de la Pointe St-Gilles. Jardin des Glaciers is 1.9 mi (3 km) away.